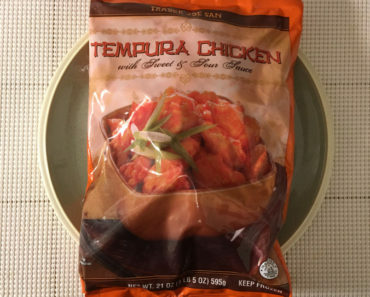 While we don’t love everything we eat, the Freezer Meal Frenzy staffers are not picky. 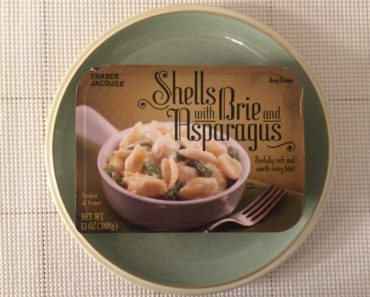 We’re happy to eat things like spinach and kale plain. 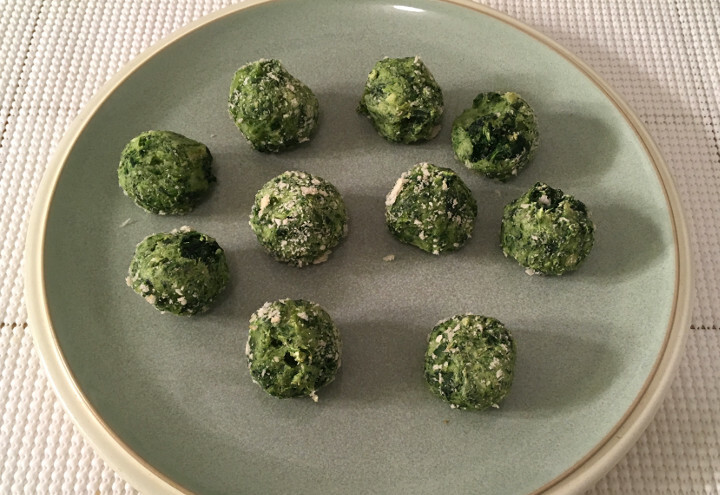 That said, we also love veggie-filled snack foods, which is why we were eager to try Trader Joe’s Spinach & Kale Bites. It took us about 20 minutes to heat these snacks, which was a little longer than we were expecting. Even so, the process was pretty painless. We threw some aluminum foil on a baking sheet, tossed our snacks in the oven, and had perfectly cooked treats a little later. 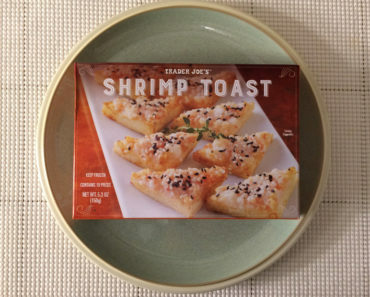 The image above shows the contents of an entire box of bites. 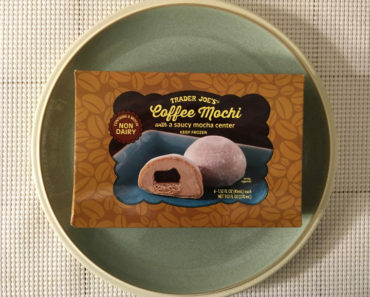 A box isn’t going to satisfy a room full of people; even Trader Joe’s says that there are just 2.5 servings per box. However, we found these snacks to be surprisingly filling. These bites not be big, but there’s enough food here to leave you feeling satisfied. 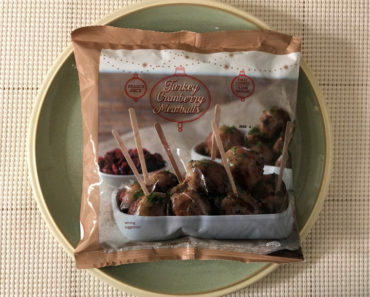 These salty, savory bites reminded us of Dr. Praeger’s Littles, another vegetable snack food we love. However, these treats are coated with parmesan cheese, which gives them an appealingly cheesy flavor. The vegetable flavor is fairly prominent here, which makes them great for veggie lovers and less great for veggie loathers. Panko breadcrumbs give the otherwise soft bites a nice little crunch. If you’re a picky eater that’s looking for ways to make vegetables more palatable, these bites may not be right for you. 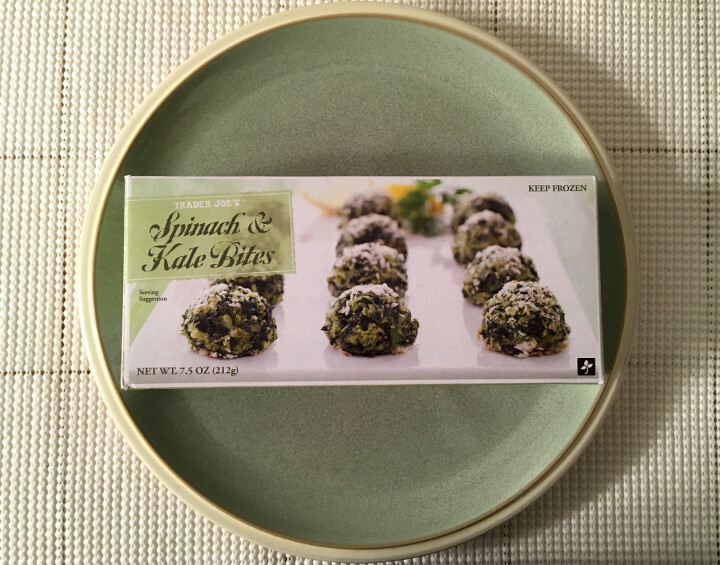 If you’re like us and love to eat your vegetables, Trader Joe’s Spinach & Kale Bites should please your taste buds. 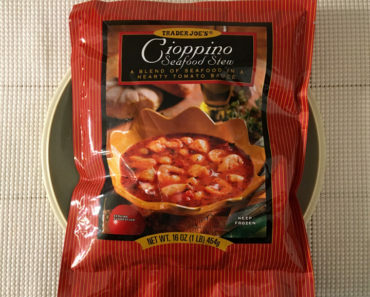 To learn more about the nutrition content or ingredients in these Trader Joe’s frozen snacks, check out our package scan below.